MG has developed fully automatic sine wave solar power generating system for the smooth working of our household and commercial electric and electronic equipments. We can work even sophisticated equipments which needed a continuous and constant output. It is the most suitable solar power generating unit for kerala’s climatic conditions. We can connect Solar power as well as AC power according to our discretion. 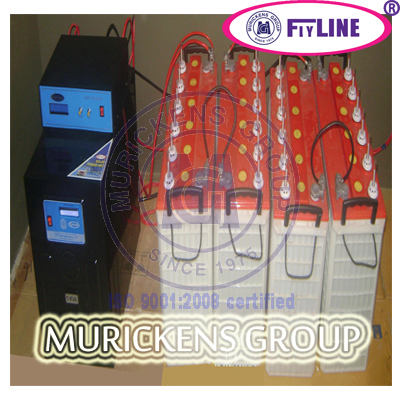 TECHNICAL SPECIFICATION OF FLYLINE DUAL POWER SYSTEM:. Muricken's Group – The Real estate Leader since 1975 An ISO 9001:2008 certified company. The name of our firm has been derived from the well reputed ancient family - "Muricken" to keep up the prestigious tradition of our family.